Do Motion Sensor Light Switches Save Energy? Motion sensitive light switches are growing in popularity. You see them more and more in corporate and public spaces, because they are convenient for employees and shut off after continued inactivity, significantly reducing energy expenses. But do you need to install these light switches in your house? Maybe not every room. 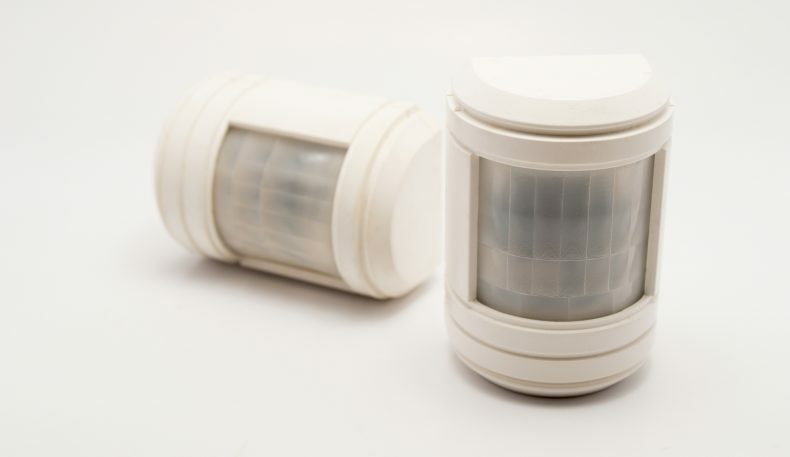 There are two main benefits to motion sensors in your home: convenience and safety. Motion sensors are perfect for your front door, so you don’t have to fumble with your keys trying to get inside at night. You also won’t trip over any steps or plants as you’re approaching. Inside your house, you never have to reach for a wall or lamp to light a room. When you go to bed, you don’t have to worry about checking if any lights are left on. In the case of a home break in, motion sensor lights may deter criminals who would have otherwise gone unnoticed. It’s an effective way to improve your home security without spending a lot of money on a security system. Are motion sensors worthwhile at home? The first search result for “motion sensor light switch” on Amazon.com costs $19.09 before shipping. If the light switch lasts 15 years, it costs you about $.10/month. In order to respond to movement, these light switches are always on standby and thus consume some amount of phantom energy. So unless you’re forgetting to turn off your 60-watt light bulb 14 hours a day every day for a year, the cost of purchasing and powering the standby light switch isn’t worth the investment. It’s very unlikely you’re leaving your lights on that often, especially in places with high traffic, such as a living room or kitchen. In these cases, be sure to install a CFL bulb, so even if the lights are left on for a long time, their energy output is minimal. Installing a motion sensor is probably best in a medium or low-traffic area, where you’re prone to accidentally leave a light on and not notice. This may include closets, bathrooms, entrances, utility closets, garages or guest rooms. Motion sensors may be best suited for offices and retail stores, as they remove responsibility from the last employee leaving to check that every light is shut off. Motion sensors in these settings can be linked to a larger number of lights, making the purchase of the sensor more economical. If you’re really concerned about saving energy and money, you are better off simply installing energy-efficient lights throughout your home. CFL and LED bulbs consume less energy than their incandescent counterparts, making the impact of leaving one on much less severe.